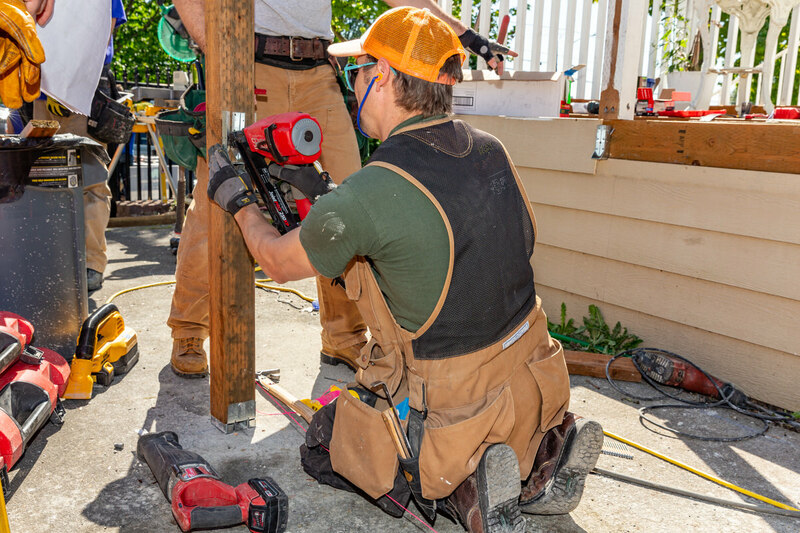 Upgrading a home to provide wheelchair accessibility is a vital need for many families. 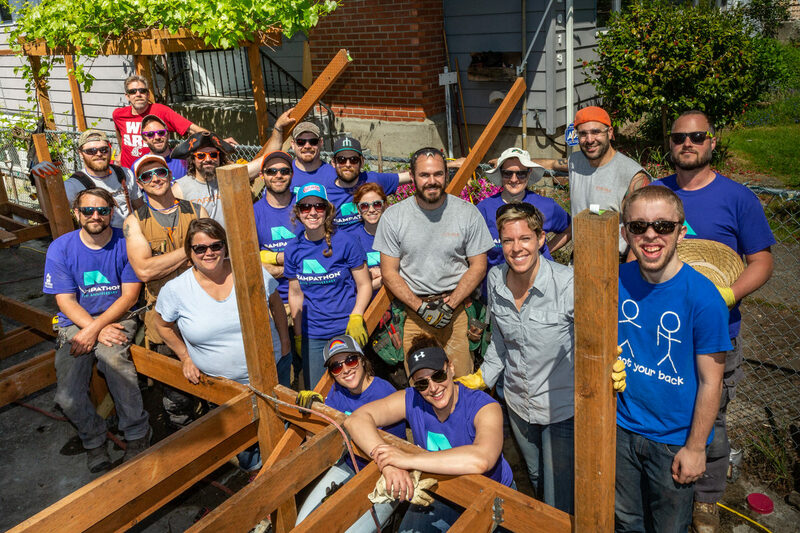 Each May since 1993, dozens of families across King and Snohomish counties receive a ramp at no cost thanks to Rampathon, an appropriately named one-day sprint. 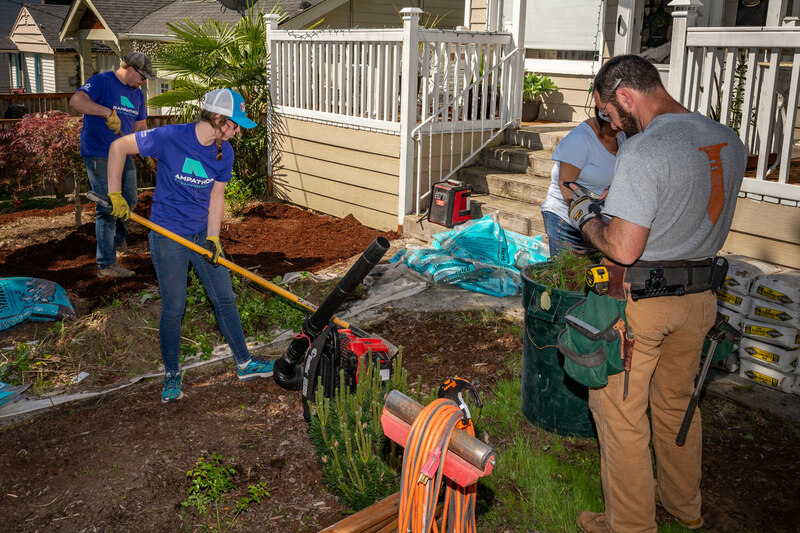 During Rampathon, a group of volunteers from the Master Builders Association of King and Snohomish Counties and the community set out on a mission: to improve the lives of their neighbors by adding wheelchair-access ramps to the entrances of their homes. With volunteer support and donated materials, Rampathon has constructed more than 500 ramps and contributed more than $2 million of in-kind contributions to the community. This year marks 26 years of the annual tradition, and if the past 25 years have been any indication, it’ll be another big year. As Rampathon 2019 approaches (to be held on Saturday, May 18), we’re interviewing a handful of our friends in the community who’ve participated in Rampathon over the years. At Dunn Lumber, we value our relationships with our customers. We wanted to take some time to celebrate how our customers have been involved in our community. Today we're highlighting Carlisle Classic Homes, who began participating in Rampathon in 2012, and quickly became an active participant in the annual tradition. Today we're chatting with Rob Carlisle, founder and president of Carlisle Classic Homes. Q: How did you first hear about Rampathon? Q: How much planning is involved prior to the actual event? A: Each year you’re involved, the planning becomes less and less as you find your groove. That said, even the first year is very manageable: you’ll review some applicants, then set up a meeting with the homeowner to discuss their need and the feasibility. If it feels like a good fit, you take measurements that same meeting. If, for whatever reason, it’s not a good fit, then you meet with another homeowner. Once you have selected a homeowner and made your measurements, you start planning the ramp and make a materials list to email to Dunn Lumber. Then, you’ll send out an invitation to your team—we’ve even invited our subs and clients to come help. Q: What does your team do day-of? A: First, let’s talk about the day before. Our team preps, reviews lists, picks up any supplies we need, gets the tools together, sends a reminder email to others about what they should bring, when they should be there, etc. On the day of, we start the day with donuts. Then we break up the pieces of our ramp into manageable sections and assign each section to a qualified team member to manage. After that, it’s time to build, pushing layout, post placement, and all concrete work as quickly as possible so we can get to ramp-building in a timely matter. Q: What’s been your favorite Rampathon project? Why? A: Each ramp has great parts, but one of our more memorable ramps was our first. We built a ramp for Sarah, an enthusiastic girl in a motorized chair who, for her entire life, had to be carried into her own home. After we finished the ramp, we were sent a video taken by Sarah’s mom of Sarah going up and down her ramp and all the neighborhood kids following her—it was crazy beautiful mayhem, over and over and over again. It was amazing to see the joy on her face from having the autonomy of being able to get in and out of her house by herself. Q: How does Rampathon affect your team? A: We did it the first year, but I didn’t line up a ramp for the following year—and four of our guys ended up volunteering with another company. Hearing that our guys were going to build ramps whether they were with us or with another company is when I knew that from then on, we’d build a ramp (or two) every year. 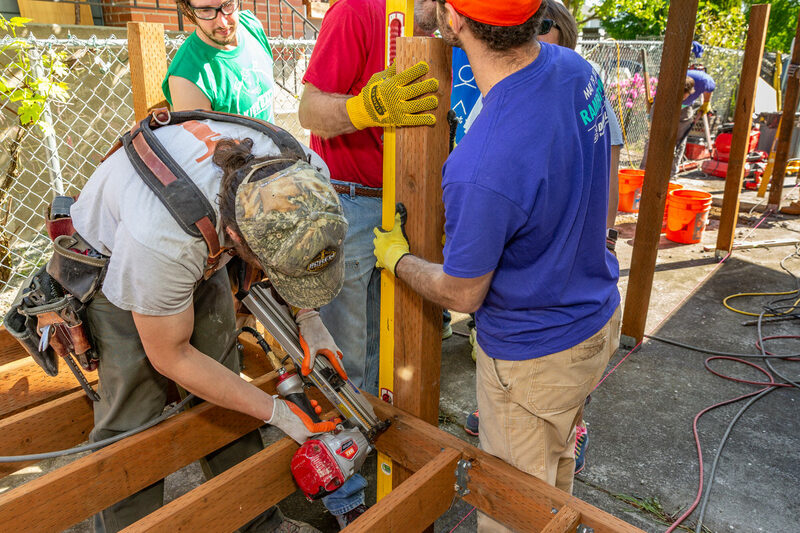 I’ve found that our team wants an opportunity to give back and help out, and as company owners, we owe it to our employees and our communities to seek out those opportunities. Q: Would you recommend other businesses try Rampathon? Why? A: Yes! Until you engage in a volunteer setting with your team, you won’t know what your team can do, you won’t see their hearts, and you won’t connect with your community. Rampathon is one of the most impactful ways to engage both in the lives of those you build for and in the lives of those doing the building. Thanks, Rob! Stay tuned for more from Rampathon participants as we gear up for Rampathon this May. Designing a gallery wall is one thing—rewiring your electrical panel is another. Here are five questions you should ask yourself before investing in a DIY remodel project that could lead to disastrous results and a devalued home. Flexibility, adhesion, and durability are the true markers of a high-quality sealant. OSI Quad Max does it all. Whether you're a contractor finishing up a decking job for a homeowner, or a homeowner doing some much-needed maintenance, it's good to know how best to clean a deck and keep it looking nice.